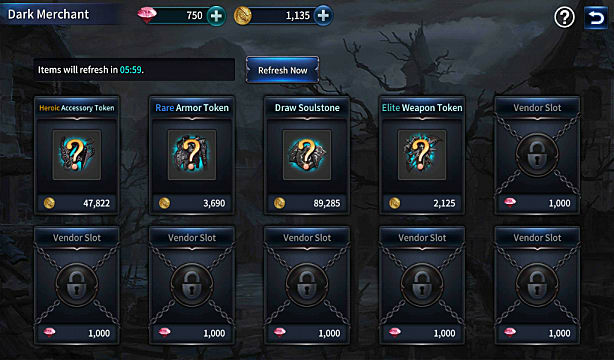 The button-mashing freemium ARPG Shadowblood is all about speed: the faster you complete a level, the higher your ranking and the better loot you earn. If you want to ascend to the highest ranks of the player base, your number one consideration should be acquiring the best possible weapon for the most damage per tap. 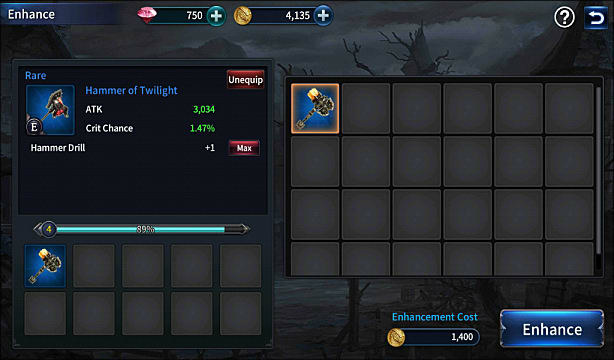 There are three different paths to take for weapon mastery: buying a better weapon, enhancing an existing weapon, or imbuing a weapon with new skills and upgrades. 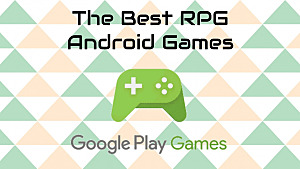 You'll want to eventually utilize all three paths for the best build, and below we cover the best methods for getting the best weapon. For those just getting started, be sure to also check out our total Shadowblood newbie guide here. All equipment features six different frequency levels from common to mythic. Upon creating your first character, you automatically get a freebie weapon, and in typical mobile gotcha style, that starter weapon could potentially be any of those levels. If your initial draw doesn't result in an elite, heroic, or mythic weapon, your best bet is to spend all your gold at the Dark Merchant on at least an elite or heroic weapon token. Don't worry about any other equipment at this point -- you will earn plenty just through login rewards or completing campaign mssions. Items at the Dark Merchant are randomized and refresh at set real-world time intervals, so its better to wait for an elite or heroic weapon than to get something more common and waste a lot of items and gold upgrading to a better version. If you didn't buy a secondary character and have gems left to spare, you can unlock extra Dark Merchant slots so there's less wait time for better equipment. But this isn't strictly necessary since it doesn't take much patience to wait 6 - 10 minutes for the sale items to swap out. After acquiring a heroic level weapon, you need to keep upgrading it to keep pace with the more powerful enemies each level throws at you. That's where enhancing comes in, letting you sacrifice an item of the same type (or an enhancing stone) to push the weapon up in level and increases its stats. Enhancing doesn't just use up the item or enhancing stone though, as it also costs gold, with increasingly larger amounts required the more often you enhance a weapon. When possible, use enhancing stones instead of lower level weapons, as they offer a bigger leap in level even if they have a higher gold cost. Every campaign mission has a recommended weapon power level, which in the early levels ranges from 300-1,000. After buying a heroic weapon token and utilizing a few enhancing stones, your character will easily be in the 3,000+ range immediately, meaning you will breeze through the first campaign without breaking a sweat. Very similar to enhancing, imbuing also increases weapon stats and requires an investment of gold. 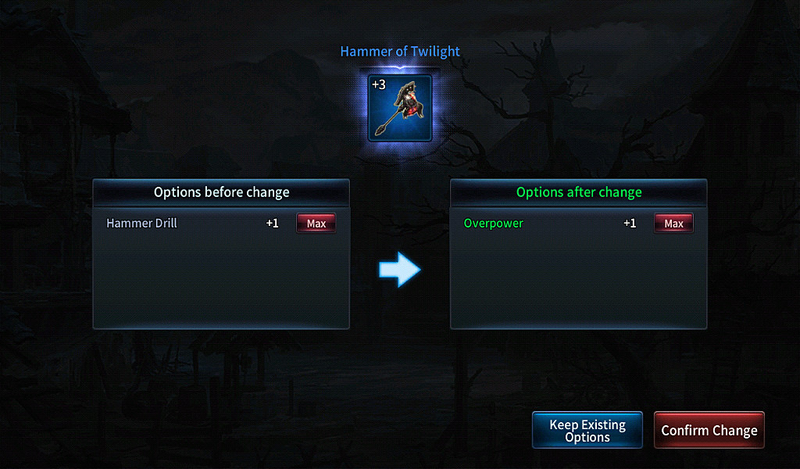 Where it differs from enhancing is in letting you change an item's extra abilities. Rarer items in the elite to mythic categories typically give a skill boost, which frees up your skill points at each level to increase your health or other passive abilities. If you have a specific skill build you are going for, be sure to utilize the imbue screen so your weapon's skill boost matches whatever build you have in mind. For instance in the screenshot below I'm changing my heroic Hammer of Twilight to boost Overpower instead of Hammer Drill. Why are we spending all these absurd amounts of gold right away instead of spreading it out over other equipment and upgrades? Because a high quality weapon from the start gives you two major bonuses not to be overlooked. First, you won't have to spend gold on skill boosters in any level, meaning you are actually saving money in the long run. Second, achieving S-Rank on consecutive missions earns you bonus gold. 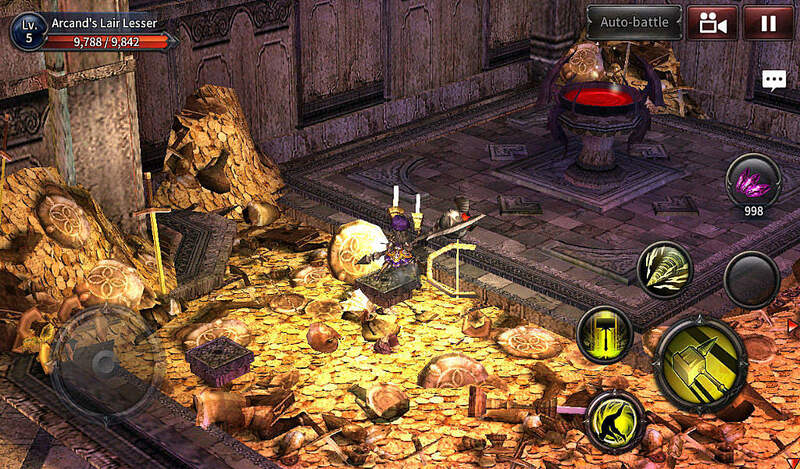 If you are getting S-Rank on several dungeons in a row, the amount of gold you get will easily exceed what you are spending by upgrading your weapon. While you will likely get enhancing stones for free simply through login bonuses or completing daily quests, there is a more sure-fire way to harvest larger quantities. After hitting level 5, be sure to activate the Arcand's Lair challenge mission three times a day, every day, for maximum upgrading ability. 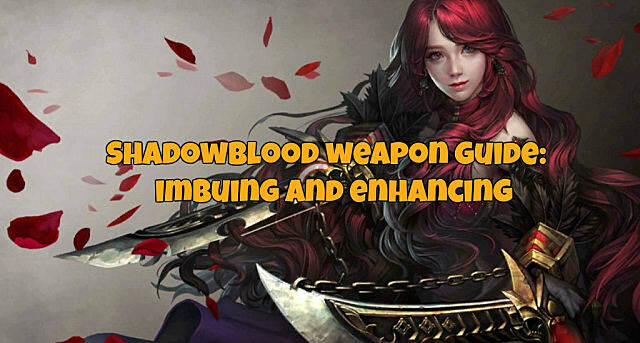 With these Shadowblood weapon upgrading tips in mind you won't have any problems blazing trough the campaign and challenge missions. Have any other tips for getting the best weapon upgrades? Let us know in the comments below!